British star Olivia Colman will go head-to-head with Hollywood veteran Glenn Close when the Oscars are handed out on Sunday. 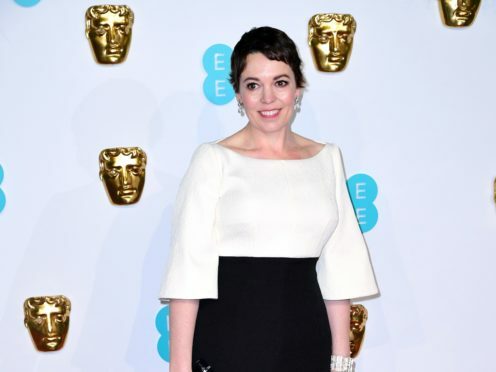 The Favourite actress is nominated for her role as a cantankerous Queen Anne in the prickly period drama, which is in the running for 10 prizes, tying Alfonso Cuaron’s black and white Roma for the most nods. Mahershala Ali is widely tipped to take home the best supporting actor prize, after wins at the Baftas, Golden Globes and SAGs. He is nominated alongside Richard E Grant for Can You Ever Forgive Me?, Sam Elliott for A Star Is Born, Adam Driver for BlacKkKlansman and Sam Rockwell for Vice. If the favourites of Close, Malek, King and Ali prevail in all their categories it will be the most diverse group of actors to win in Oscars history, with only one white winner. The film’s director, the Mexican auteur Cuaron, is in the running for the best director prize, alongside Cooper for A Star Is Born, Adam McKay for Vice, Yorgos Lanthimos for The Favourite, Pawel Pawlikowski for Cold War and Spike Lee, who is nominated for his first directing Oscar for BlacKkKlansman. Instead the show will rely on an array of celebrity presenters, including Daniel Craig, Jennifer Lopez and Chadwick Boseman. There will also be performances of all the tracks nominated for the best original song prize despite early indications only two would be allowed to take to the stage. Lady Gaga is set to reunite with Bradley Cooper for a performance of Shallow from A Star Is Born, while Kendrick Lamar is expected to perform All The Stars from Black Panther. Jennifer Hudson is due to perform I’ll Fight from the documentary RBG and David Rawlings and Gillian Welch will perform When A Cowboy Trades His Spurs For Wings from The Ballad Of Buster Scruggs. It was recently announced Bette Midler will perform The Place Where Lose Things Go from Mary Poppins Returns.